My current guests and I visited Saint Antonin Noble Val on Sunday. 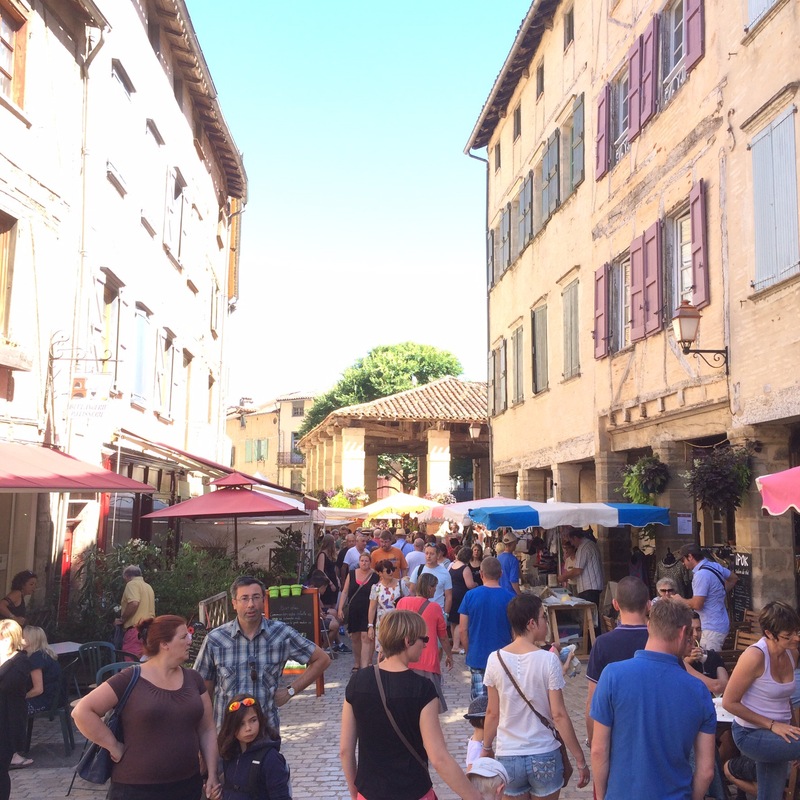 I have only been out of season, but had been warned by French friends that it gets very busy there in the summer especially on market day, which it was. Boy oh boy were my friends correct, thousands of cars were parked on every inch of road, verge and spare space leading into the town. Unperturbed we headed for the town and managed to find a crafty little spot to park near the river, not a few minutes walk to the market. I would later be reprimanded by a furious French lady who on spotting us returning to our car lent out of her window and started to tell us in florid French that we couldn’t park there, I gave her my cheesiest smile and explained I don’t speak any French, a little white lie I know, but hey when needs must. Anyway it was worth it as the atmosphere was fabulous and the market really great, we even managed to get a great seat in a restaurant jut off the main square and were serenaded by a saxophonist and a guitarist. Here are some snaps on my photo safari.